Solo exhibition at Galleri Puls Art in Copenhagen. 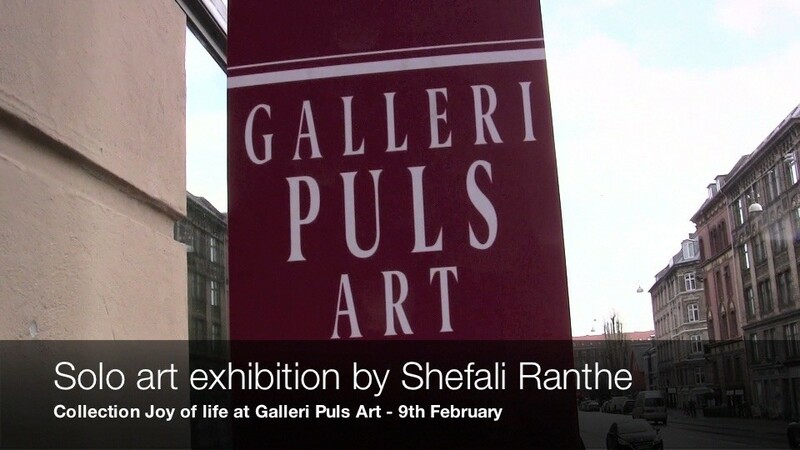 The International artist Shefali Ranthe has her first solo art exhibition at Galleri Puls Art in Copenhagen. She was born in Bangladesh and adopted to Denmark as an infant. After 10 years in Dubai, the Danish international artist is now based in Copenhagen, Denmark. Her work has reached a level of maturity and assurance that continues to attract new audiences and collectors. With so much wind in her sails, she has also taken the bold step of representing herself with great success at The National Art Gallery, Shilpakala Academy in Dhaka, Bangladesh 2018 and The National Art Museum of China, Beijing 2017 which could lead to further developments of this kind throughout the world. Her works have been shown International exhibitions in Dubai, New York, Amsterdam, Marseille, in Aix-en Provence, Paris, Barcelona and Madrid. She was nominated Global Art Award finalist 2018 Dubai and was a nominee for Dubai International Emerging Artist Award in 2014. Her artwork is part of the International Contemporary art private collections.